We all talk about energy efficiency, conservation, and sustainability all in the same breath, but have you ever thought about the fact that saving energy is not the same thing as sustainability? If you pause to reflect on that statement, you’ll immediately see why it’s true. If you’re being as efficient as possible to use the least amount of energy that you possibly can, you know it’s good for the planet (and also saves you money). However, if that energy comes from a fossil fuel, it’s still not sustainable. Something that is sustainable is something that could keep going year after year, decade after decade, generation after generation, without depleting the earth’s finite natural resources. Using fossil fuels, we’ll eventually hit a wall where we won’t have them any more, because we’re consuming them faster than they are being produced. Here’s a simple analogy: Let’s take the bank balance of a guy named Shawn. Shawn’s rich uncle Howard dies and leaves him $100,000. He says to himself, “Hey! This is awesome! I no longer have to work.” He quits his job but keeps up a lifestyle spending $50,000 a year. Obviously, that’s not sustainable. At the end of two years, he’s going to be broke. A growing number of business owners and facility managers are sensing the need to not only save money on their energy bills, but also do their part for the planet by choosing the sustainable option whenever possible. However, it can be tough to pursue systems that are not just efficient, but also sustainable. In other words, you don’t want to use energy faster than it can be replenished. You don’t want to pollute faster than it can be cleaned. How can this be done? It would be too simple to say, “Just do the sustainable thing, all the time, every time.” Here’s the problem with that: The sustainable option is often more expensive, and most businesses have so many cost pressures that they simply won’t choose an option that increases (rather than lowers) their costs. So they go on saving energy, which is great, but we’re still in the position of Shawn spending through his inheritance. We’ve inherited a rich planet, but deep down, we all know that we need to be better at ways of finding methods that numerous generations into the future would be able to keep on using. In other words, this intersection between saving energy (cheaper) and sustainability (more expensive) is harder to find than you’d think. We’re going in the right direction, but we’re not quite there. Energy efficient options that are also more sustainable, like wind or solar power, are not cheap. We need the technology to continue to advance so that the price point for these options are within reach of companies. One option that companies are turning to in order to fuel their businesses with sustainable energy is that of using an energy consultant. 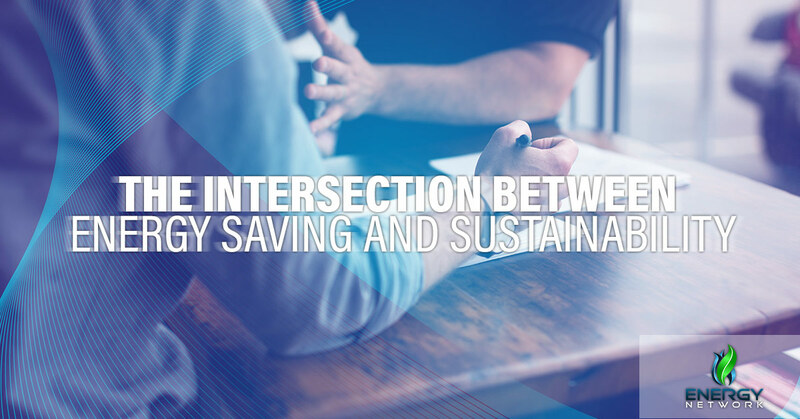 There is a growing body of knowledge in the energy community that is defining the intersection between sustainability and cost-effectiveness. Another option that can help businesses find the resources to invest in further research in this area is that of saving money on the electricity that they are currently buying. Energy Network helps you buy wholesale electricity from the lowest bidder, helping you to keep your costs down and allowing you to turn those resources back into valuable products, services, and research for our community. We will be happy to help you to save money, conserve energy, and even find ways to implement sustainable options. Contact our energy consultants to get started.